Psychology professors Andrew Christensen of UCLA and Brian Doss of University of Miami have a five-year grant from the National Institute of Child Health and Human Development for an online couples therapy program. They are recruiting couples to participate at OurRelationship.com to expand on the work they've already done. If you'd like to participate, they'd like you to tell them what types of online or offline resources you'd like them to develop in a brief, 10-minute survey. 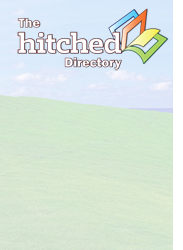 Moreover, they're also looking for any resources you've already used that have been helpful (feel free to mention Hitched), and also would like to know a little bit about yourself and your relationship. Lastly, they're also looking for couple to sign up to help test out our web-based resources. If you'd like to read more about their ground-breaking study on the effectiveness of therapy, click here.